LongLocks Salon › Hair Types › So Straight › S- shaped ends? So normally I have VERY straight hair, like people think I flat-iron it daily straight. But I've noticed that at the bottom of my hair the individual hairs are in sort of an S curve. Is that just me getting some curlyness or do any of you straighties get the same thing ???? It has been awhile since my last trim so it just may need a dusting but if anyone has any experiences in this do let me know how you handled it. My hair had been stick straight until I hit 40 or so. I found that initially I noticed the waves on the ends as my hair got longer. Chemical processes can sometimes cause waves/curls on the ends as well. So it's just my hair changing texture? Because I'm 16 and I hope that it's not related to ageing. Although I have always wanted less straight hair. Maybe it's the universe's answer! Changes in hormones can change the texture of your hair. At 16 it is not inconceivable that you could be experience such changes. I agree with what Bikerbraid said. I had exactly the same hair as your's until i was about 12 or 13, now my hair is very wavy with some curl ::shrug:: at first i didn't accept it, i thought it was damaged ?? ?, but then i found LL, and they have helped me understand my hair better and take care of it. Your hair care routine might also affect. My hair had always been straight, but when I started taking care of it, it got more body, and if I let it dry without combing (which I almost never do though ), there are places where my hair has hints of wave. According to Fia's hairtyping system, there are three types of straight: stick-straight, straight with some body wave (but not visible wave), and straight with one or two s-waves. So, stick-straight is not the only straight hair there is. Chemical processes can sometimes cause waves/curls on the ends as well. I am living proof of that statment. 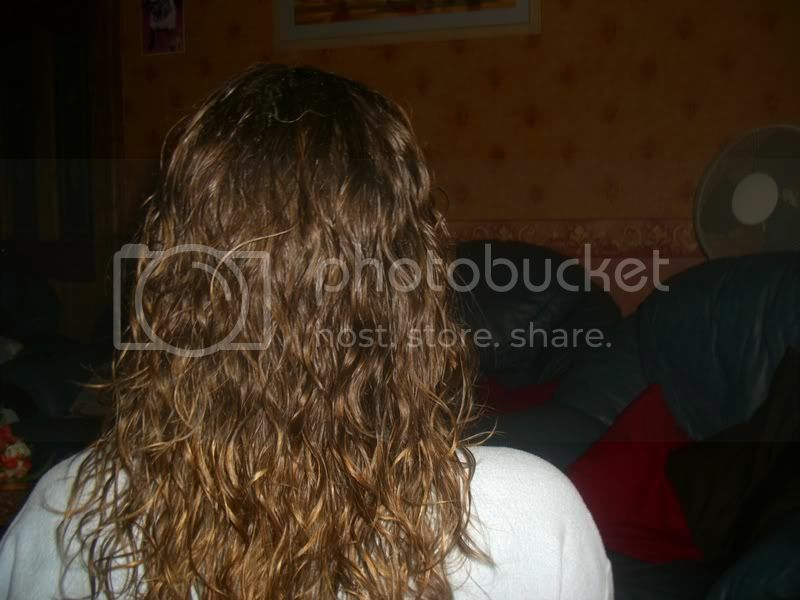 My hair was 1c but when I processed it, it turned to about 2b. I have never had poker straight hair but notice that once my hair reaches shoulder length i get the S waves, which spiral the longer my hair gets, strange really as id have thought the weight of longer hair would weight the curl down, my hair has also got curlier the nearer to 40 i get, so maybe hormones play a part? Supposedly your hair and skin change every 7 years. Be it hormones or the "Powers that be" playing with hormones. I've had course wavy hair when I was in my teens,let it grow and had loose corkscrews! Now it has a mind of its own and pretty much gets curly,corkscrewy and wavy!! I'm 43 so who knows what will be happening as it (hopefully)reaches thigh length! My motto is,"I don't care what color it is,grey,brown,black,as long as it stays on my head!!" Oy. The problem with this particular thread is that pretty much none of the replies have come from actual straighties. hehe My hair type is 1aFi, so allow me a subtle interjection.